Following the success of his first C.D. 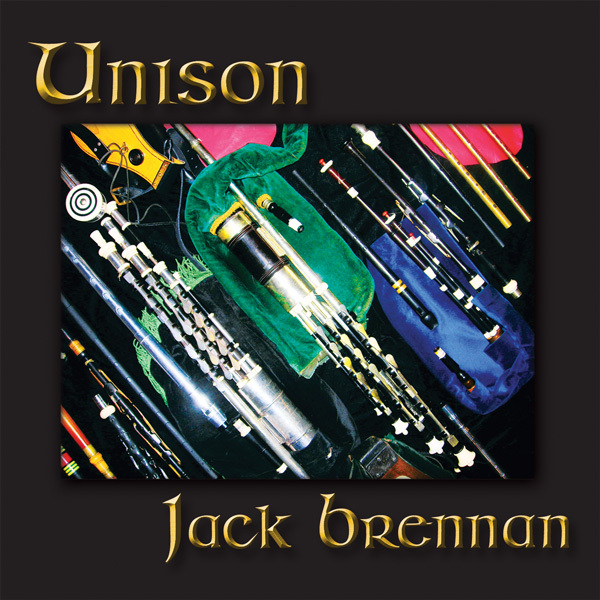 "Piper's Dream", Jack Brennan has produced his second album "Unison". Four of the tracks on this C.D. were composed by Jack Brennan, including the second tune of track 9, which was written in memory of his good friend Peter Ross Hibbard, who passed away in 2007. The brilliant and highly regarded musicians John Murphy (Acoustic/Spanish guitar), Tommy Carty, (Acoustic guitar/Bouzouki) Paul Chester (Keyboard) and Gavin O'Loghlen (Keyboard) all join Jack Brennan in Unison. Together they create a vibrant and energetic collection of traditional Irish tunes mixed with a beautiful selection of Spanish music. The title Union refers to the harmony of music and reflects our innate desire to find harmony within life itself.